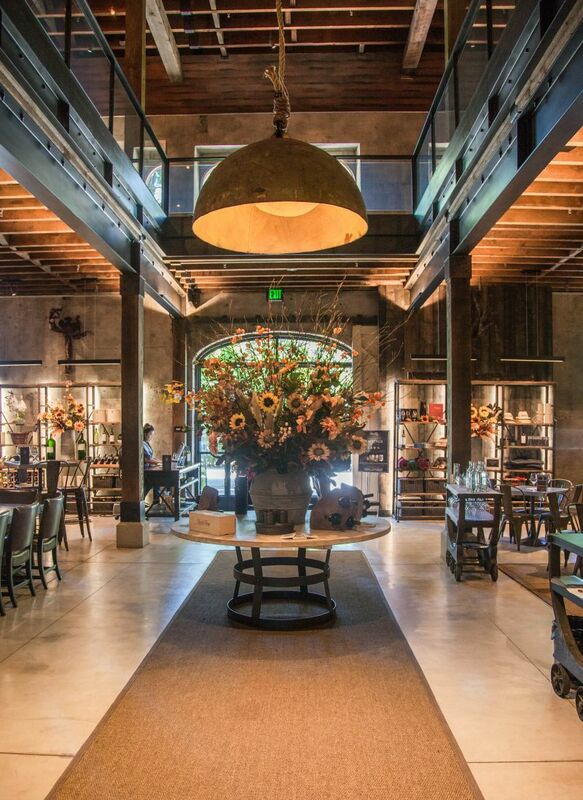 I know that by now it may seem impossible that I haven’t visited every single big winery in Napa Valley, but you have to remember that there are over 400 wineries here and there are probably 50 or so of those that are iconically famous. Charles Krug is one that you would name in the top 10 of those. 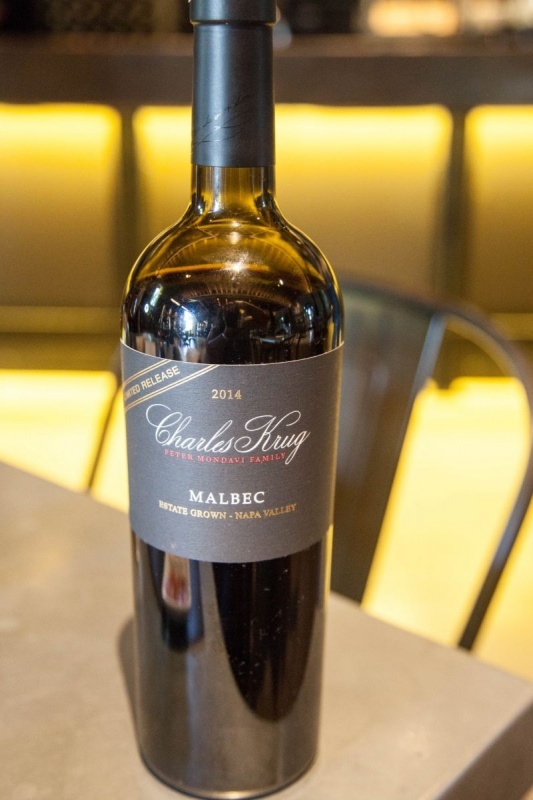 After all, it was Charles Krug who in 1861 founded the very first winery in Napa Valley. 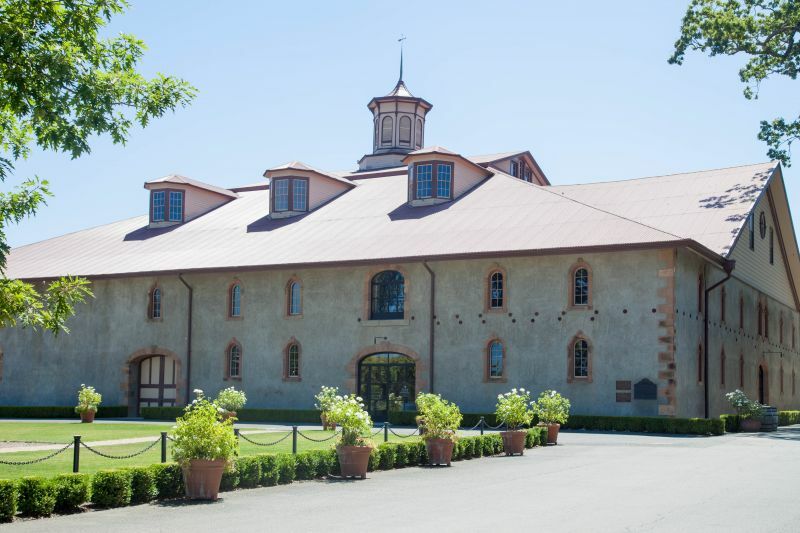 In 1943 the Mondavi family purchased the winery’s one-hundred and fifty acres with two buildings from James Moffet Jr. for $75,00. (What a deal!) The Mondavi’s kept the Charles Krug name on both the wines and the winery and produced their first bottles of wine in 1944. 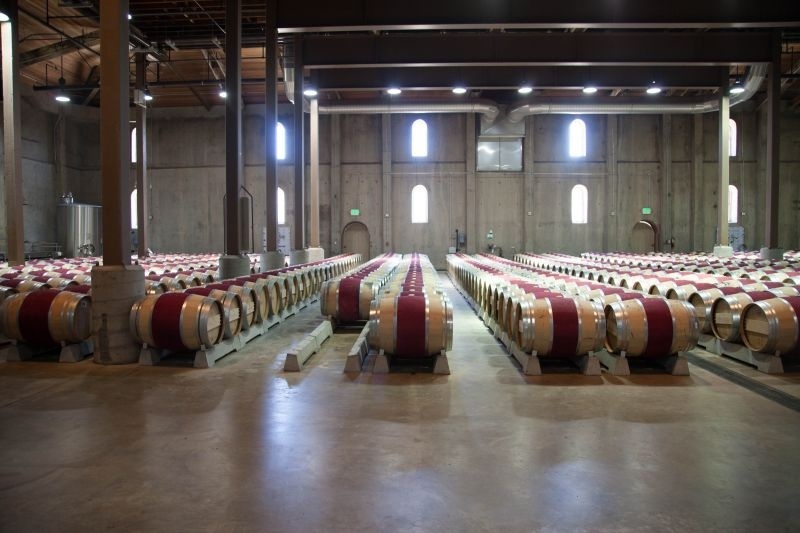 Robert Mondavi was the first in Napa Valley to introduce oak barrels in the mid-1960’s to the wines he produced. It is all really impressive stuff. The building that the tasting room sits in is lovely. It has classic beauty on the outside and inside has been done with both old world and modern influences creating a warm and welcoming space for all of their visitors to enjoy. 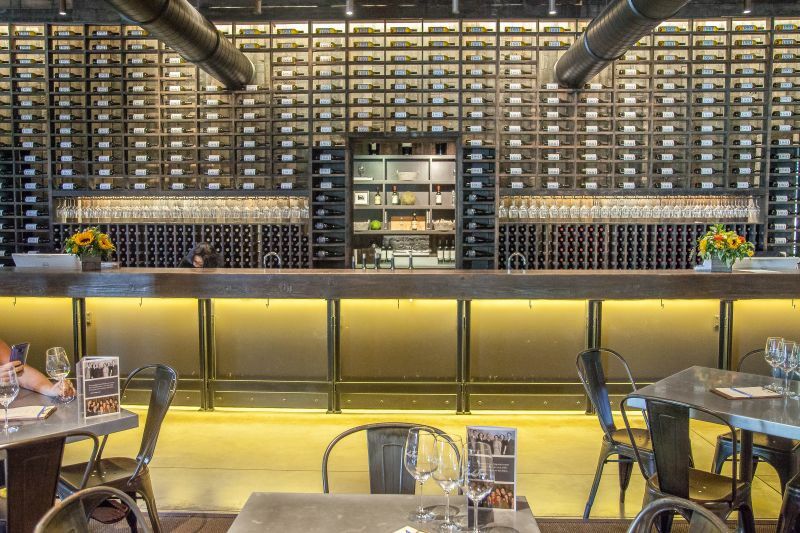 There are several lounges and tasting areas, a little Salumeria (deli with meats and cheeses), and of course the barrel room which is open to visitors. 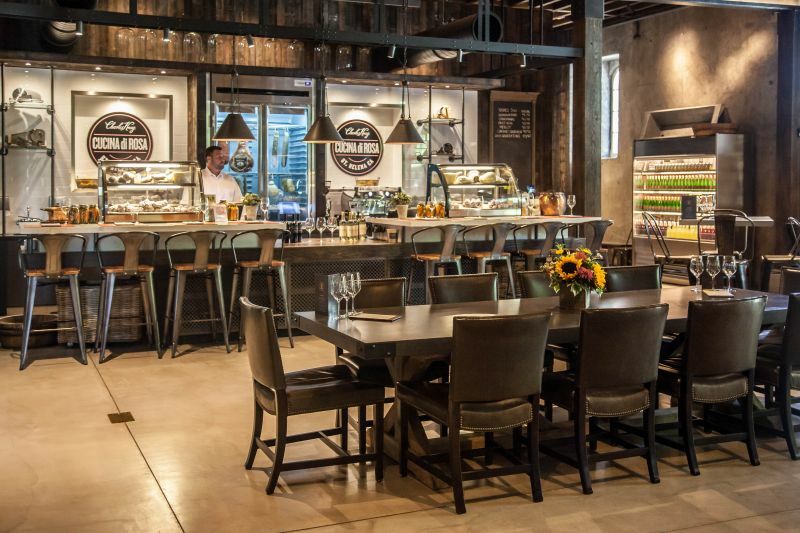 It is also one of the few wineries in Napa Valley that is allowed to serve food as well as host weddings and other events. Due to a law passed in 1989, the Winery Definition Ordinance was put in place to prevent the loss of agricultural land. 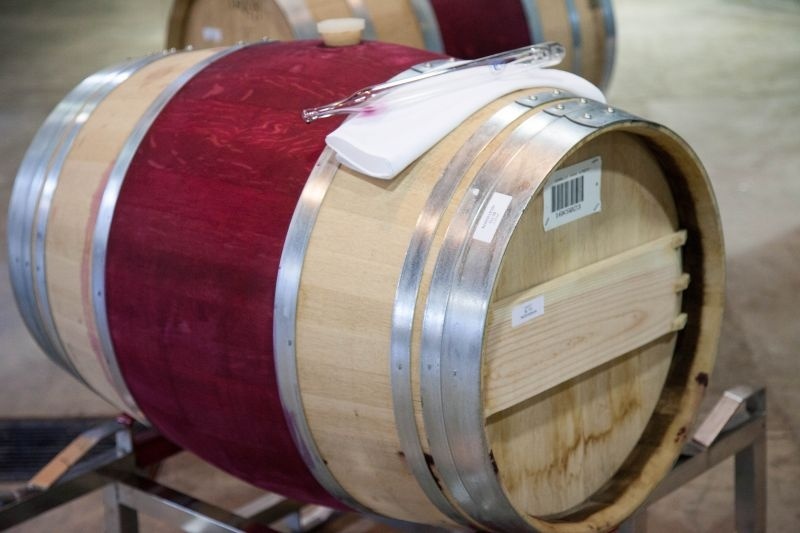 Many say that it was an effort to protect other businesses (such as restaurants) from wineries stealing all of the incoming trade. 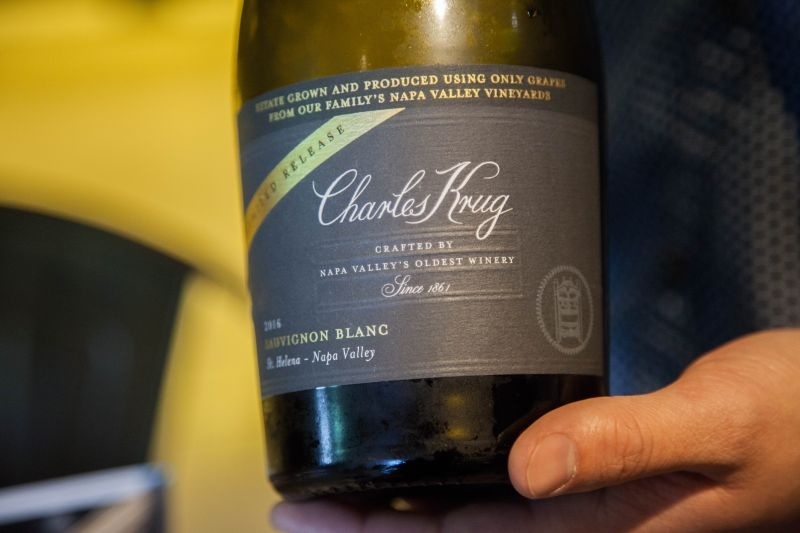 There were only five wineries that were grandfathered in before the 1989 ruling; Charles Krug was one of those on the list. 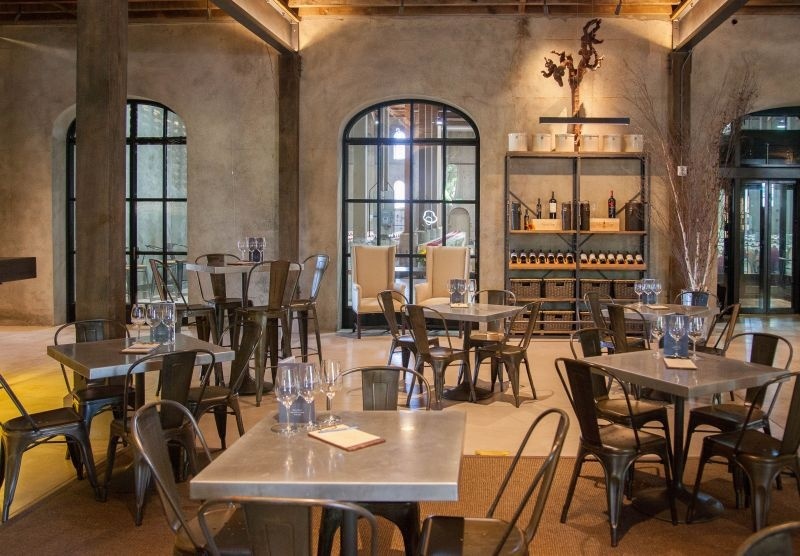 So if you have your heart set on a wedding in Napa, this is one of your choices. The 2016 Sauvignon Blanc was crisp and light with hints of melon and floral notes in the nose. It had a good amount of acidity plus peaches and grapefruit on the palate. I liked it and thought it was a very well balanced wine, although not a show stopper. The 2014 Malbec was interesting. What surprised me was its smoothness and absence of spices on the finish. My feeling on it was that it was a good wine, one that I would be happy to drink, but not a typical Malbec. It doesn’t have the depth or dimension as its missing the spicy notes that one comes to expect from that grape. 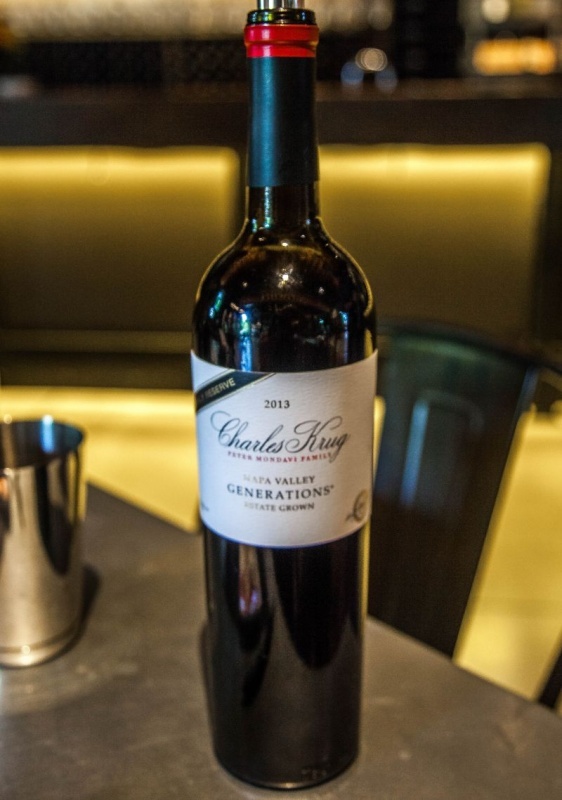 The Generations Bordeaux style blend was a really fine sip. Round, rich fruits, and subtle tannins added structure and a little dimension to the wine; leaving a lingering, wonderful taste in my mouth. I think it is priced reasonably considering its quality and the brand name. I have to say that I was surprised by the Vintage Select Cabernet Sauvignon. It really lacked tannins and I fear that this will not be a bottle that will stand to cellar for very long due to its missing tannins and structure. The good news, however, is that it is a lovely smooth and lush wine and it is ready to drink right now. After all, who wants to wait at least five years before opening their bottle of wine? If you do cellar your wines, you do have to have something good to drink until they are ready, right? For me, it was the Howell Mountain Cabernet that was the true winner of the day. This wine was really impressive. I got oak, light leather, a spicy mix of cloves and cardamon, and dark forest fruits. There was a slight hint of chocolate in the very long and satisfying finish that I really enjoyed. This bottle had enough tannins and structure to cellar for maybe ten years, but still drinkable now. It will only get better and richer. At the end of our tasting, we got an impromptu tour of the barrel room and had the opportunity to taste one of their Cabs from the barrel. We were amazed how good it tasted and how ready it was before bottling. The thing I really liked about all of the wines was how accessible they all are. Even if you are not a big wine connoisseur, these wines are smooth and balanced enough to please the palate and pair beautifully with food. Our experience at Krug was wonderful. My friend and I left feeling as though we had tasted and experienced something a little special. I loved the history of the winery and I love how they have kept that history alive. We highly recommend it! 75K! UGH! I wish I could get that deal! Beautiful pictures! Sounds like a delicious tasting and very historic. Great combination.